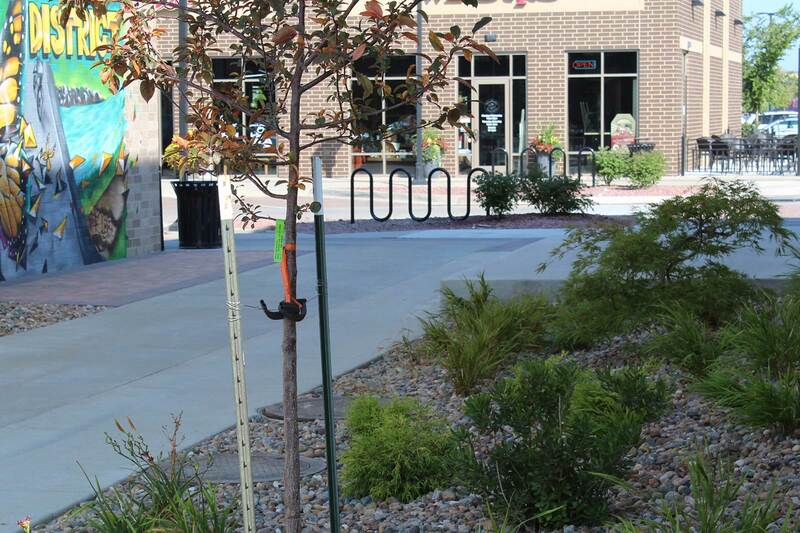 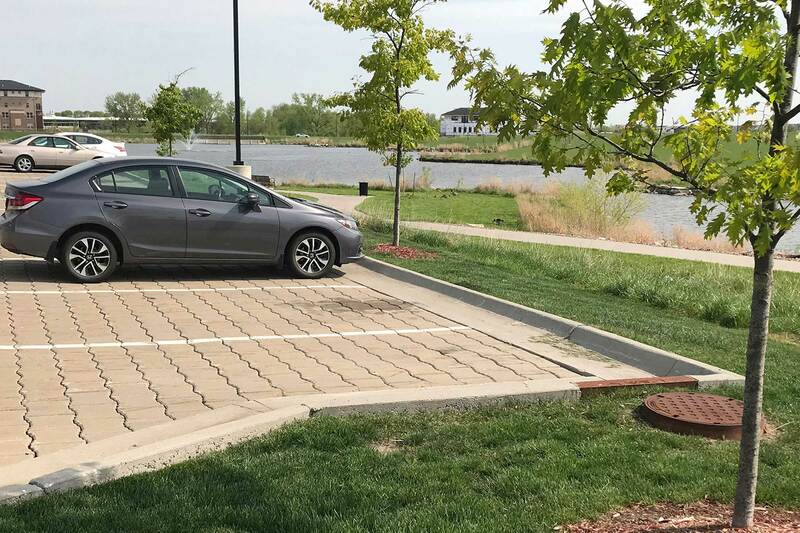 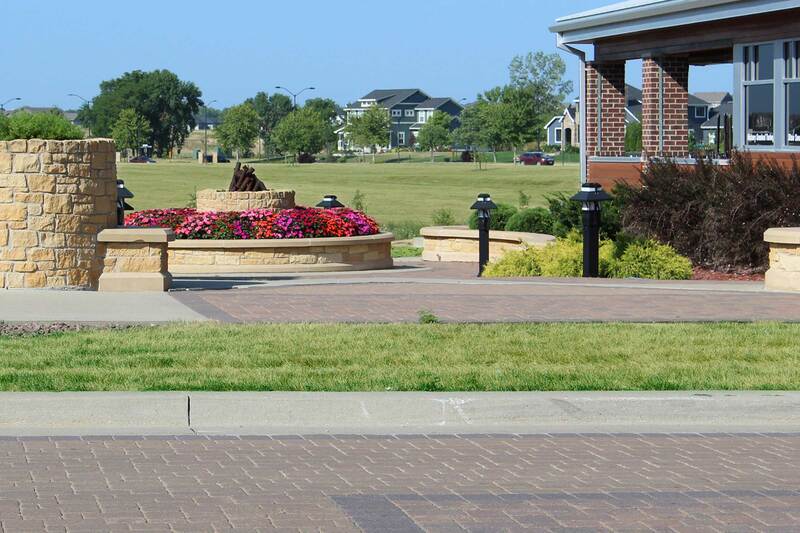 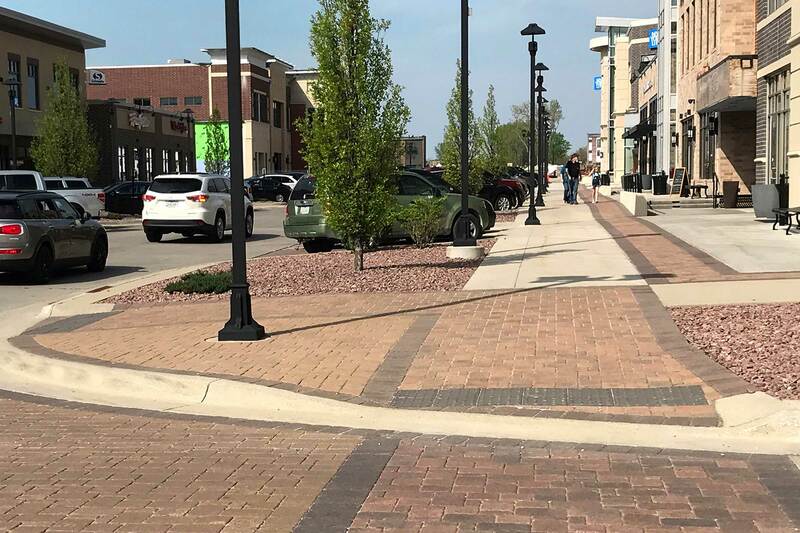 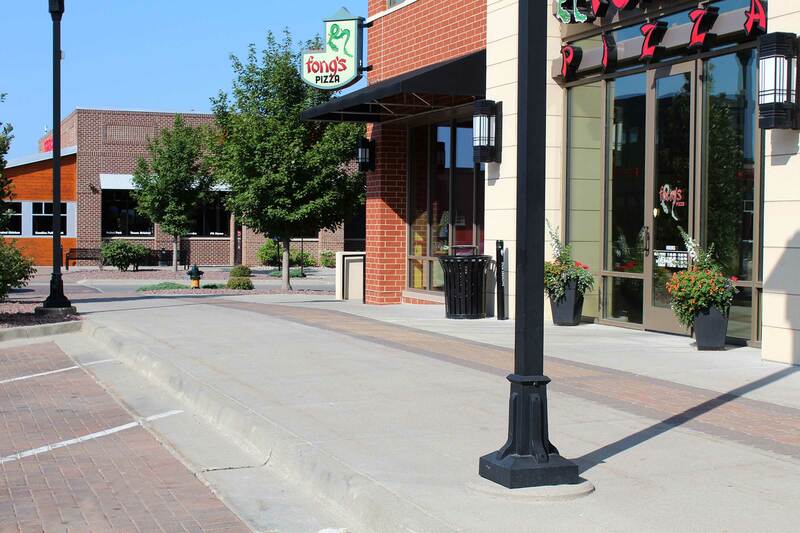 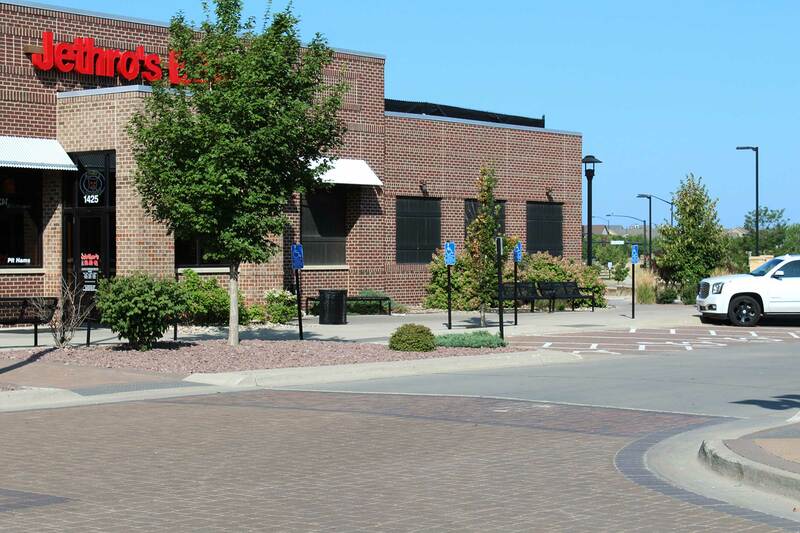 The District was modeled after classic Iowa town centers and features blocks of 2-3 story buildings surrounding a town center park. 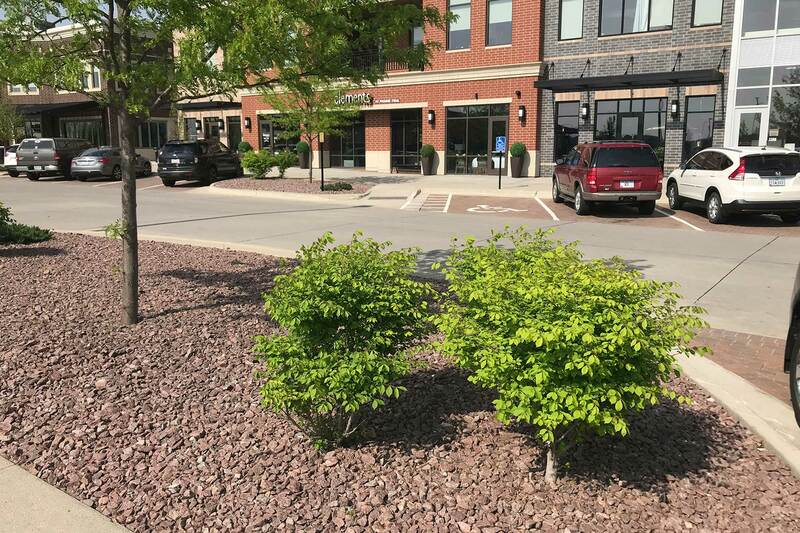 Nilles Associates prepared the site plans for four multi-use buildings that contain retail and restaurants on the lower level with offices on second floors. 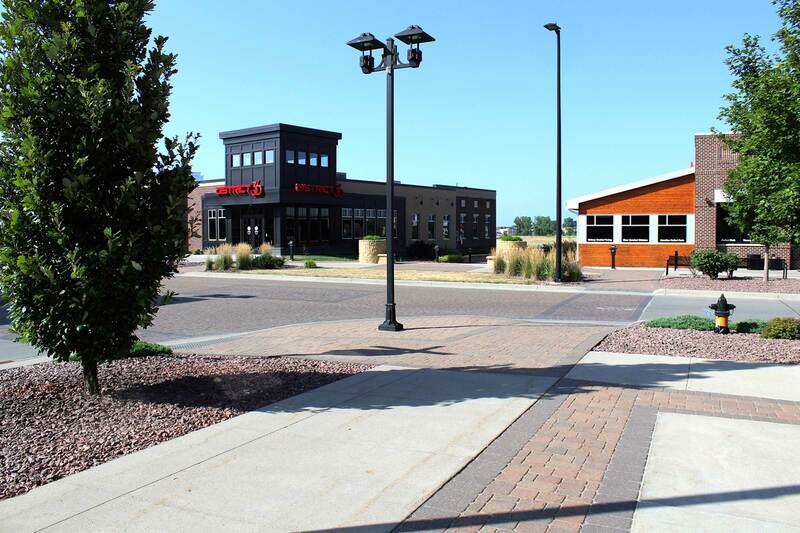 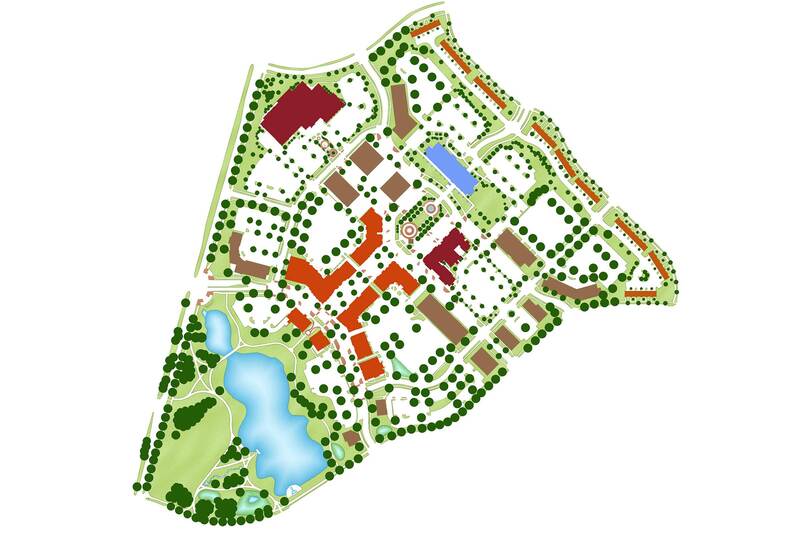 Nilles also prepared site plans for several detached restaurants in the District. 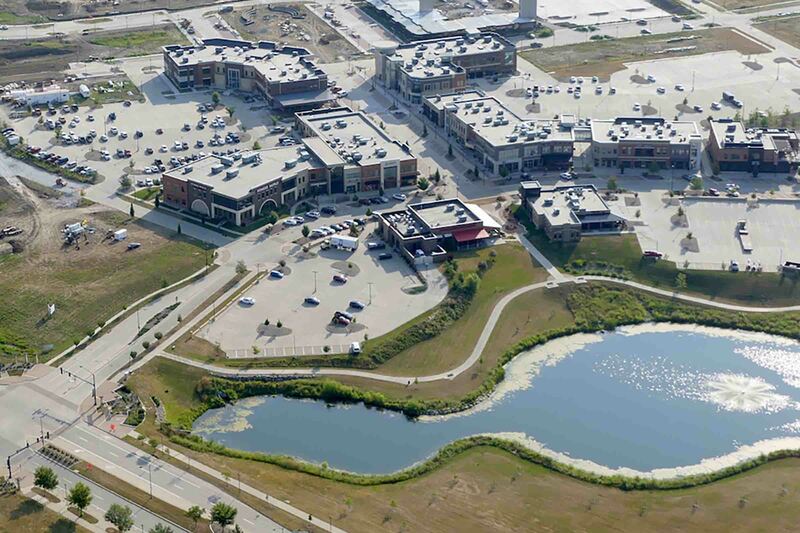 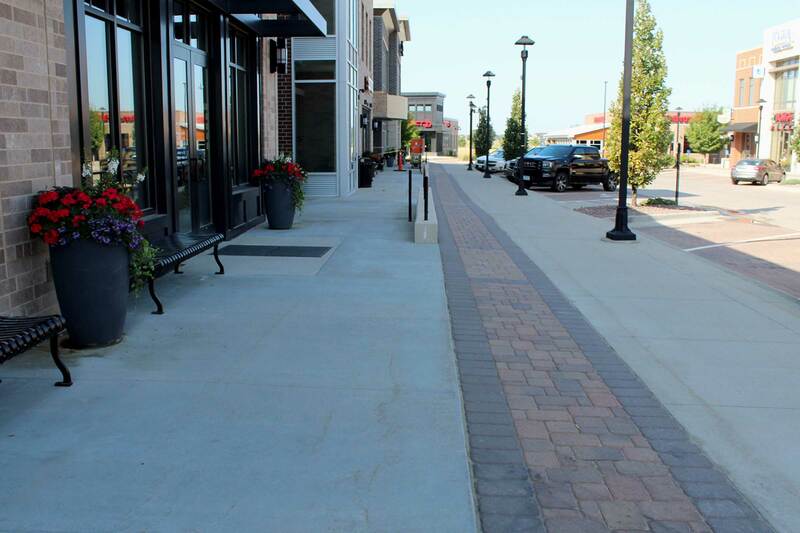 All buildings address the street with limited angled parking out front and ample pedestrian areas for comfortable shopping and patios. 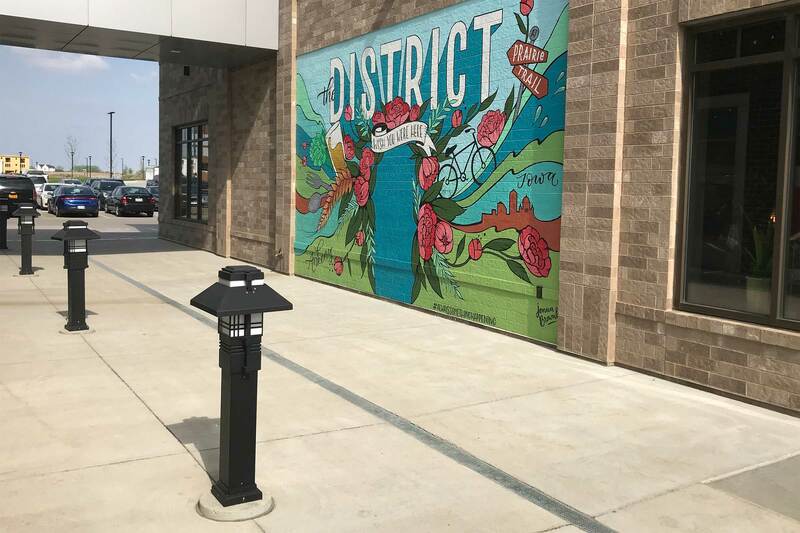 Pedestrian corridors with murals and landscaping connect larger parking lots at the rear of retail buildings.